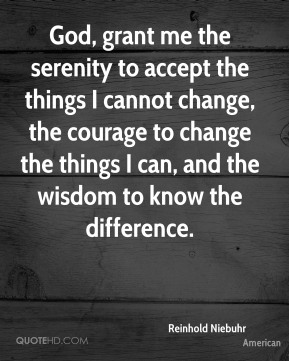 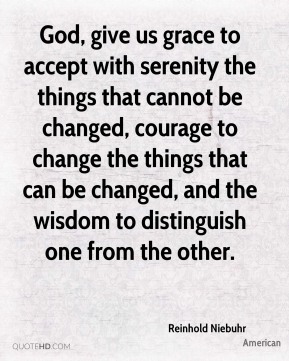 God, give us grace to accept with serenity the things that cannot be changed, courage to change the things that can be changed, and the wisdom to distinguish one from the other. 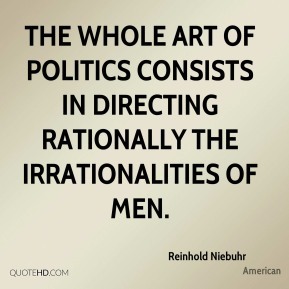 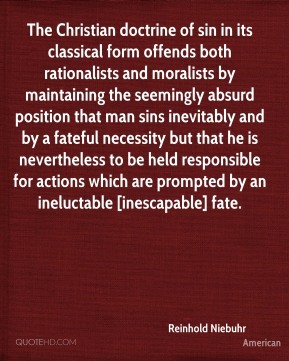 The Christian doctrine of sin in its classical form offends both rationalists and moralists by maintaining the seemingly absurd position that man sins inevitably and by a fateful necessity but that he is nevertheless to be held responsible for actions which are prompted by an ineluctable [inescapable] fate. 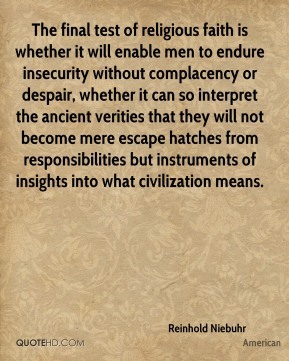 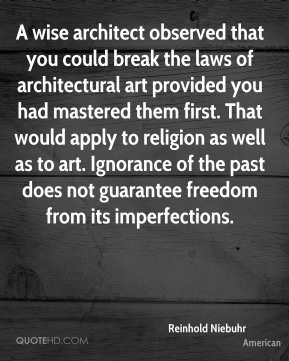 The final test of religious faith is whether it will enable men to endure insecurity without complacency or despair, whether it can so interpret the ancient verities that they will not become mere escape hatches from responsibilities but instruments of insights into what civilization means. 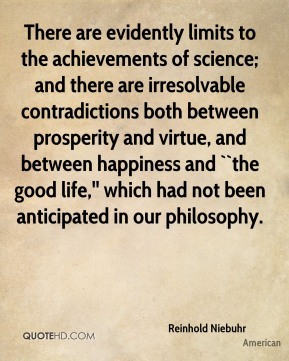 There are evidently limits to the achievements of science; and there are irresolvable contradictions both between prosperity and virtue, and between happiness and ``the good life,'' which had not been anticipated in our philosophy.